Mukumoto: "We have made a car that will turn heads." TOKYO -- Honda Motor Co. will soon learn whether giving a designer with no engineering experience five years to develop a sports car is pure genius or plain madness. Ryo Mukumoto was 22 and into his third year making mock-ups at Honda's research arm when he beat about 400 other entries in an in-house competition. 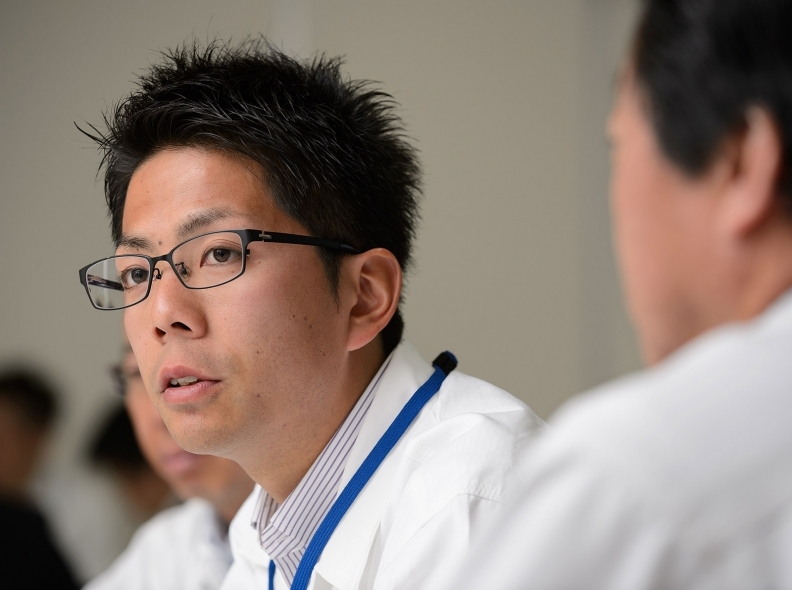 Honda made him the youngest lead engineer in the company's history and gave him a young team to help translate his ideas into reality. Mukumoto's vision -- a low-slung roadster inspired by a speeding bullet -- goes on sale next month in the most competitive segment in Japan's shrinking car market. "People of my generation think cars are simply a tool for transportation," Mukumoto, now 26, said in an interview in Wako City, Japan. "I wanted them to say -- hmm, this car is different," he said. "We have made a car that will turn heads." The introduction of the S660 roadster, named for the 660-cc engine capacity limit that defines the minicar category unique in Japan, comes as Honda searches for a way out of record vehicle recalls and quality lapses. Honda President Takanobu Ito, himself a motorcycle-racing engineer, will step down in June after leading the company for six years through a tumultuous period that began with a global recession, followed by natural disasters and unfavorable exchange rates, and ending in deaths from defective airbags installed in its cars. "Honda has been renowned for its challenging spirit and unique cars, but their recent lineup has become more plain," said Osamu Katayama, author of a 2011 book in Japanese on Honda's nurturing of talent. "There must be a sense of crisis within the company and they want to send out a message with this car." By putting Mukumoto in charge, Honda has reemphasized its trust in backing young talent, a culture that comes from founder Soichiro Honda, who built his company into Japan's third-largest carmaker despite having no formal education. "Unlike many other Japanese companies, age and education don't mean anything at Honda," said Noboru Sato, a Nagoya University guest professor and former Honda executive, who wrote a book about the automaker's talent development. "People with a challenging spirit will get rewarded." A car aficionado who drives a Honda S2000 to work, Mukumoto likes to zip through the mountain roads of Tochigi, an area north of Tokyo that's famous for its Shinto shrines and Buddhist temples. A car aficionado who drives a Honda S2000 open-top sportscar to work, Mukumoto likes to zip through the mountain roads of Tochigi, an area north of Tokyo that's famous for its Shinto shrines and Buddhist temples. "I feel like I can have conversations with the car driving there," he said. 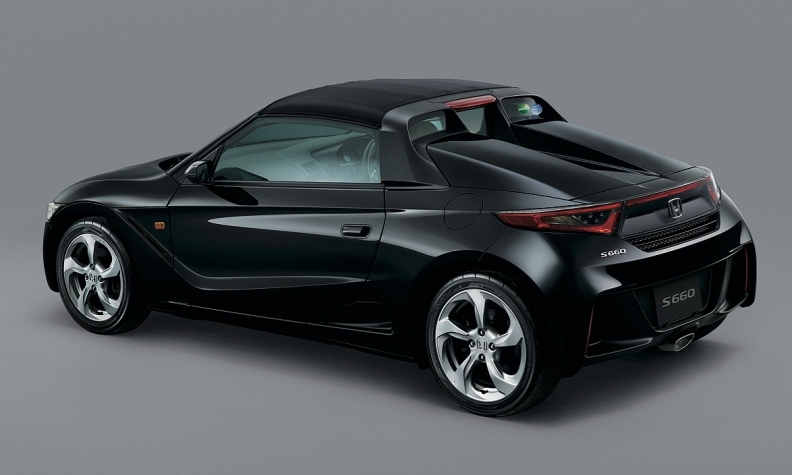 Honda is wagering that the S660 will speak to buyers of Japan's "kei" minicars. These tiny cars made up about 40 percent of total new car sales last year, aided by benefits including lower tax rates and a price war between market leaders Suzuki Motor Corp. and Daihatsu Motor Co.
Honda's soft-top rear-wheel drive S660 with a mid-mounted engine will sell from 2 million yen ($16,760), competing with Daihatsu's Copen, a front-wheel drive with a retractable hard top that starts from 1.8 million yen. 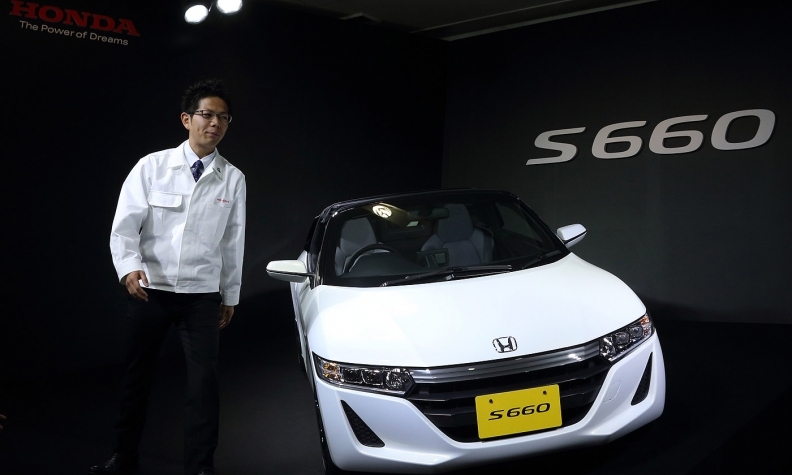 Honda plans to sell 800 units of the S660 a month in Japan after sales start from April 2, the automaker says. The company has no plans to sell it outside Japan at the moment, Mukumoto says. Before the S660, Honda had produced an open-top kei sportscar, named Beat, from 1991 to 1996 in Japan. "It matches Honda's corporate image of being sporty, which it got from the heritage of NSX and the Beat sportscars years ago," said Yoshiaki Kawano, an analyst at IHS Automotive in Tokyo. "It will become the iconic vehicle some Honda fanatics have been waiting for a long time."